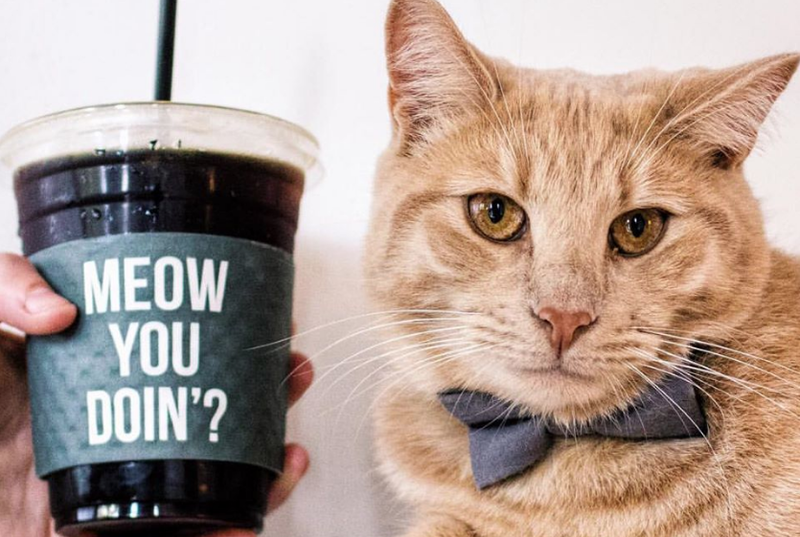 Cat cafes have slowly been opening up in cities across the U.S. The latest cafe is now in LA. It’s a chain, owned by Kanchan Singh, with one cafe in DC and now as of September, the second one in west Los Angeles. Singh first became inspired to open a cat cafe after she visited Chiang Mai, Thailand and spent some time at a cat cafe there. She returned home and thought about how a cat cafe could positively impact shelter cats needing a home and people who may need to take a break and grab some coffee and pet a cat. The cats at the LA cafe are from Karma Rescue. The cats have free reign over the area and there are staff on hand at all times. For those who wish to visit, a reservation is necessary. The prices start at $22 for about 75 minutes of time to spend with the cats. Crumbs & Whiskers asks that customers allow the cats to come to them, rather than picking one up or possibly bugging a cat who may need some quiet time. The cafe is another outlet for rescue cats to find loving homes. Those who visit and want to adopt can fill out an online application with Karma Rescue. The applicants are then screened and contacted for additional information. If everything is cool, the cat has a new home. Crumbs & Whiskers is located at 7924 Melrose Ave, Los Angeles, CA and is open from 11am to 7:45pm. For more information visit their website at: Crumbs & Whiskers.